Since it’s holidays for the kids, I wanted to bake something different than the usual chocolate versions. But trust my boys to insist only on chocolates. So to get them off my back, I made another version of my eggless chocolate cake first and ended up baking two times as the first batch disappeared before I could even blink! After the second batch saited their love for chocolate cake, they let me get on with the baking I had in mind. 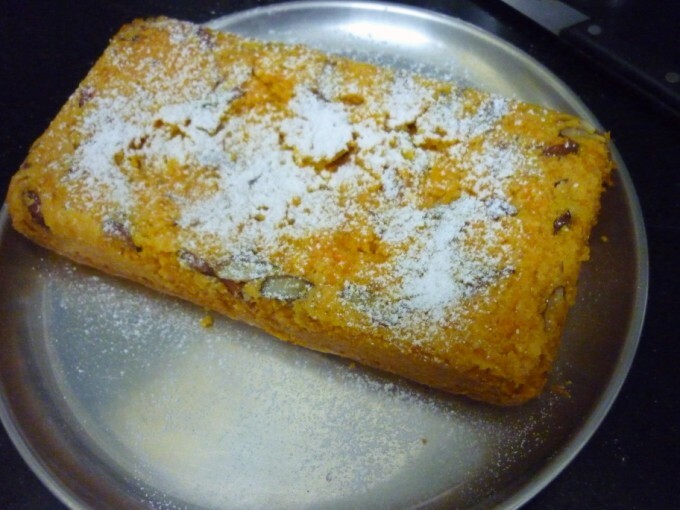 I have been wanting to bake a carrot cake for a long time. 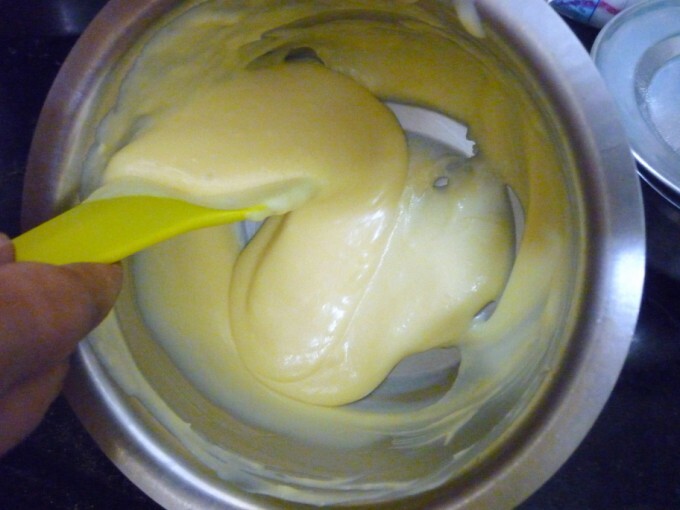 Couple of days back I read this recipe in a book and saw that it is very similar to the basic condensed milk cake that I bake. 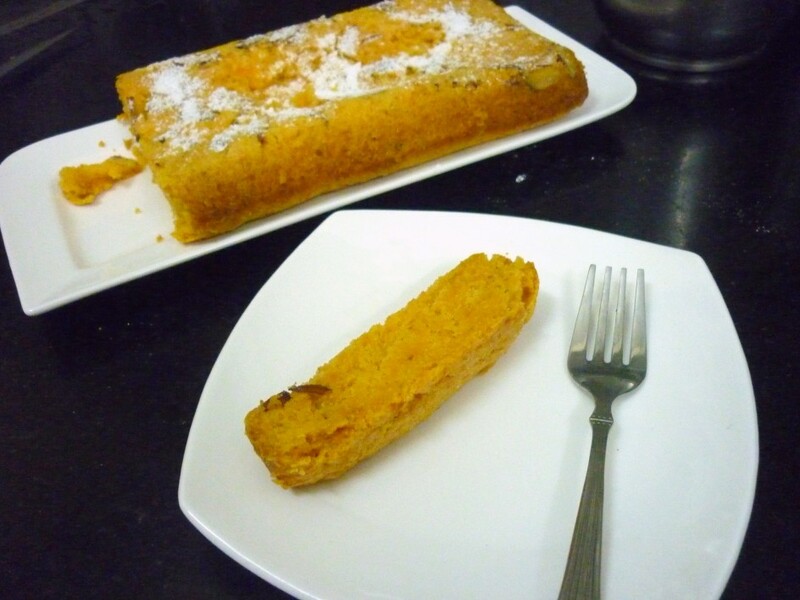 Everytime I have excess carrots on hand I always think I should bake a carrot cake, but never come around baking it. 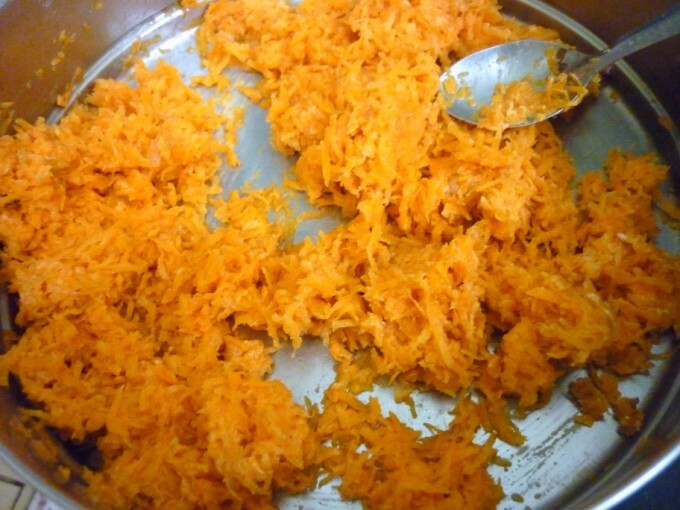 Years back, when we have excess carrots it was always carrot halwa that was made. When I started using microwave, the entire process became even simpler with the microwave version. 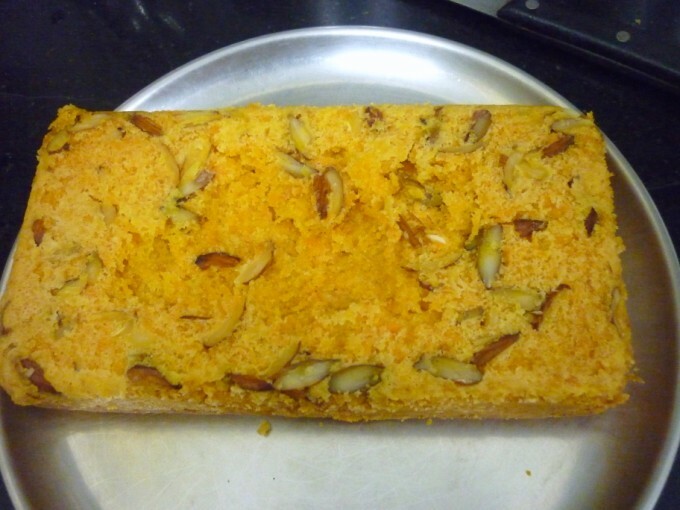 Now we hardly make carrot halwa because of the calories. If the kids ate sweet, I could at least make for them. However they hardly touch a sweet. They do love cakes, only chocolate at that. 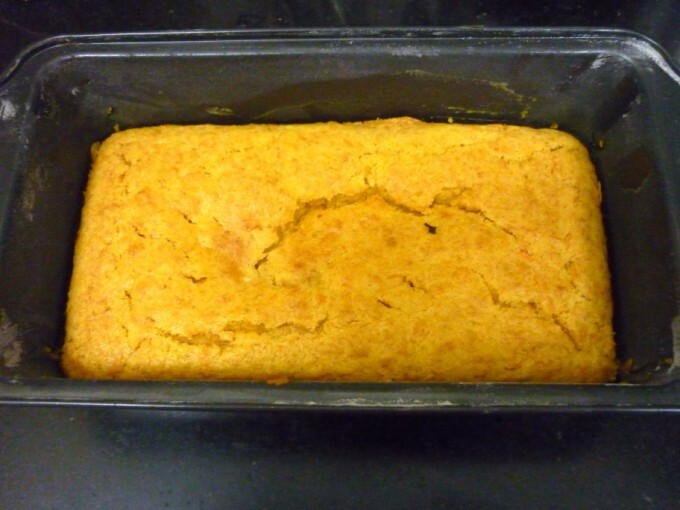 Anyway I went ahead making a cake with carrots just at least to see if it tastes. Wash, scrape and trim the ends. 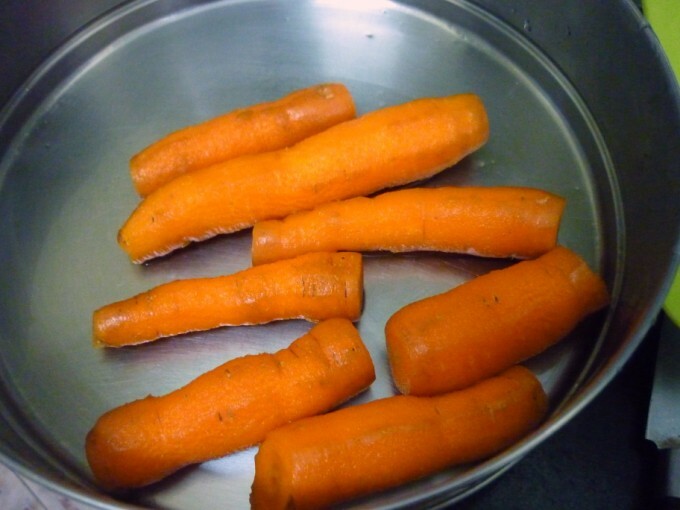 Grate enough carrots to make 2 cups. 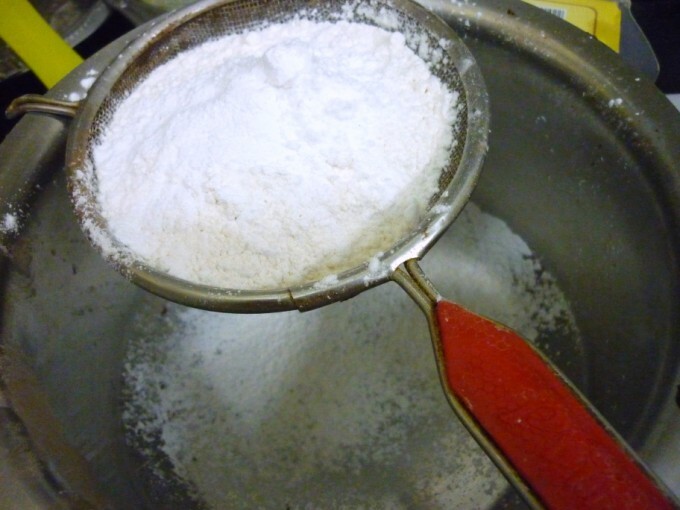 Sieve the flour along with baking powder, baking soda and corn flour. 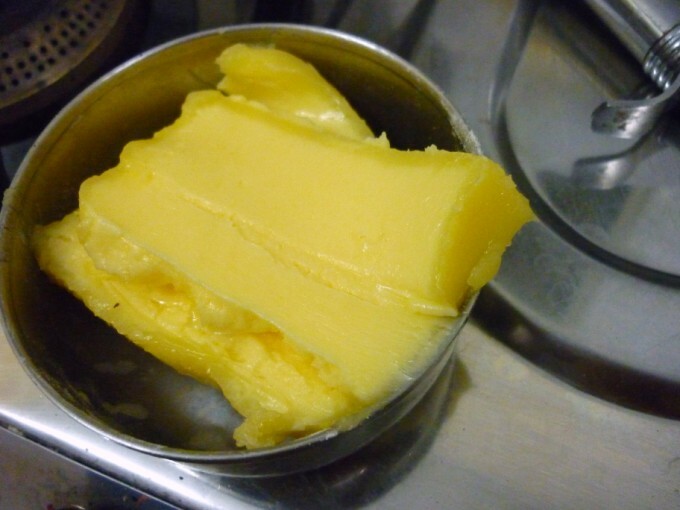 Take the soft butter and 1/2 tin condensed milk in a bowl. 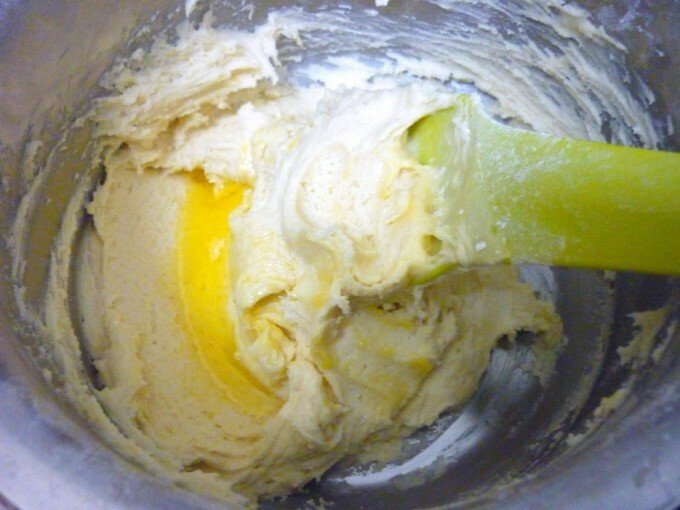 Add 2 -3 tbsp castor sugar and cream it again. 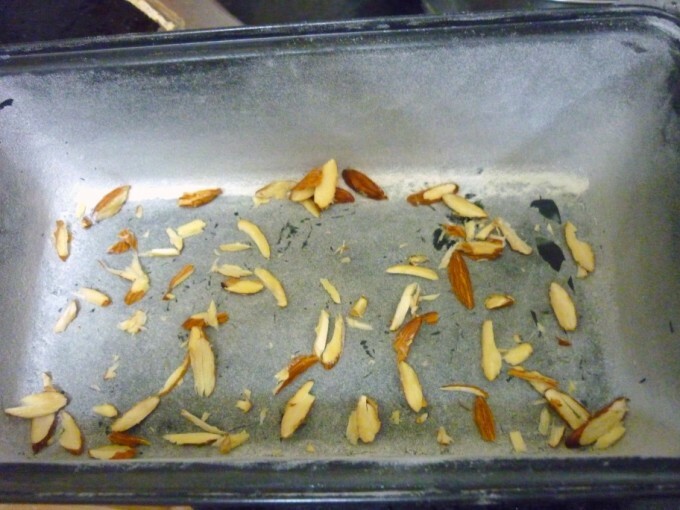 Grease and dust a 9 x 5 baking tray, sprinkle the almond slivers over it. 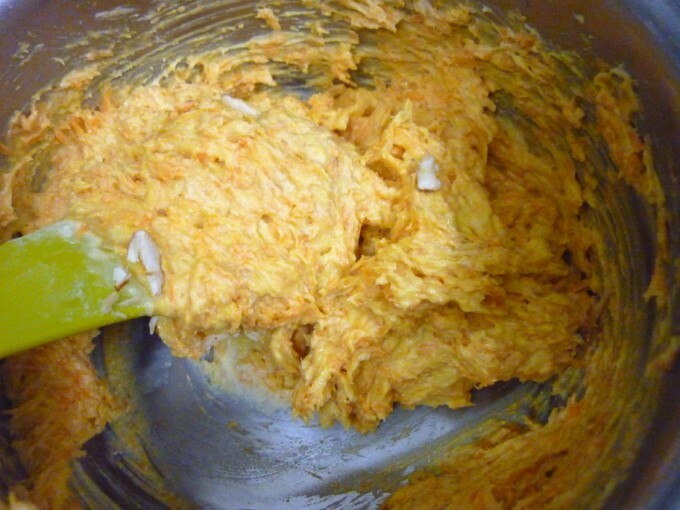 Gradually mix in the carrot mix to the creamed butter and blend everything together. 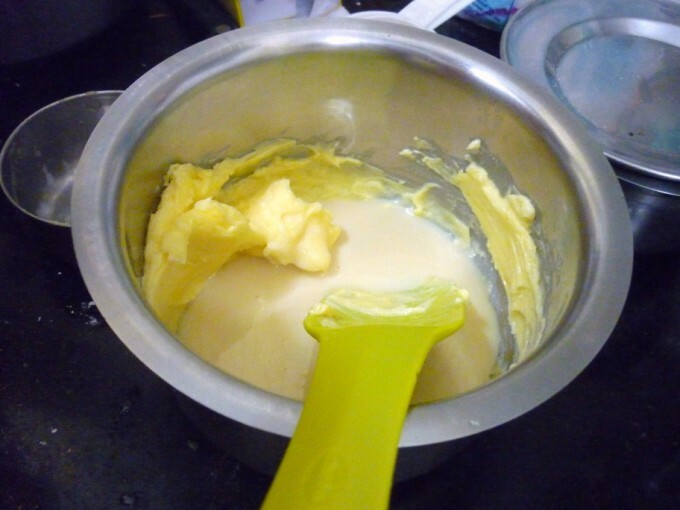 Add 1/2 cup milk and blend to a semi pouring consistency. Pour into the prepped tray. 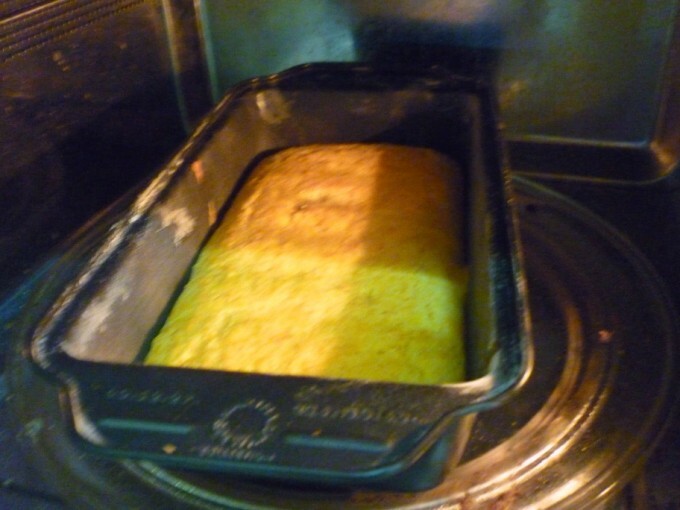 Bake first at 170 degree C for 17 mins, then reduce to 140 Degree and bake for 15 mins. Insert a sharp knife in the center to check if it is done. 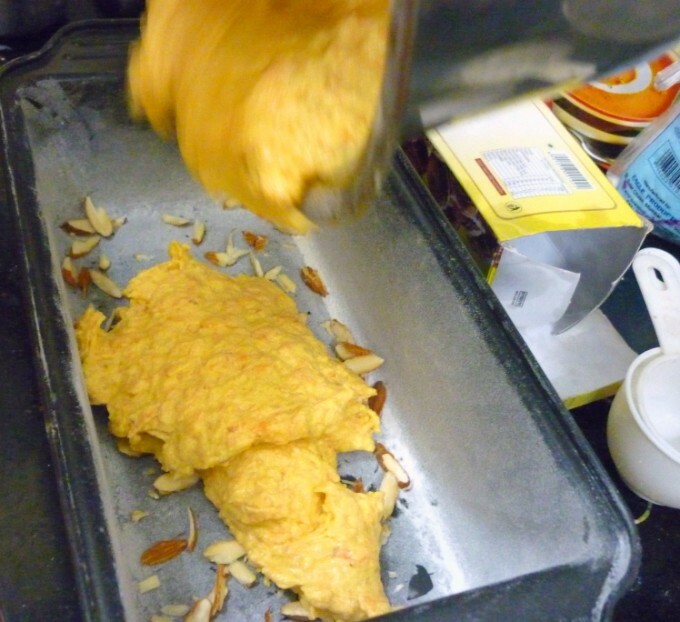 Since the cake is not that sweet you can dust icing sugar on top. Wash, scrape and trim the ends. 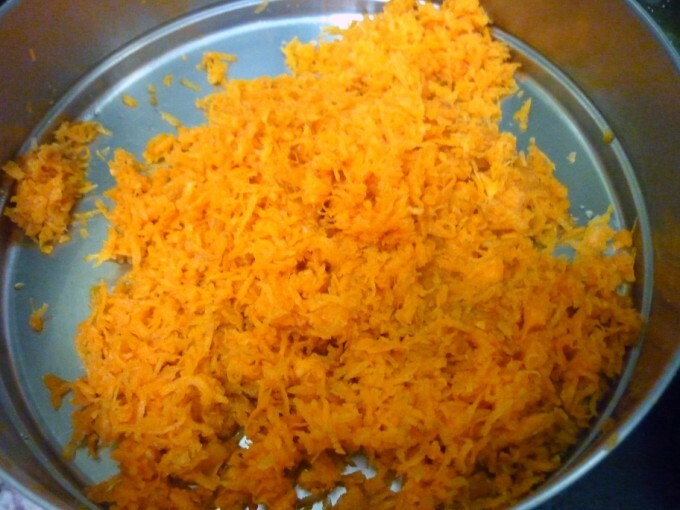 Grate enough carrots to make 2 cups. 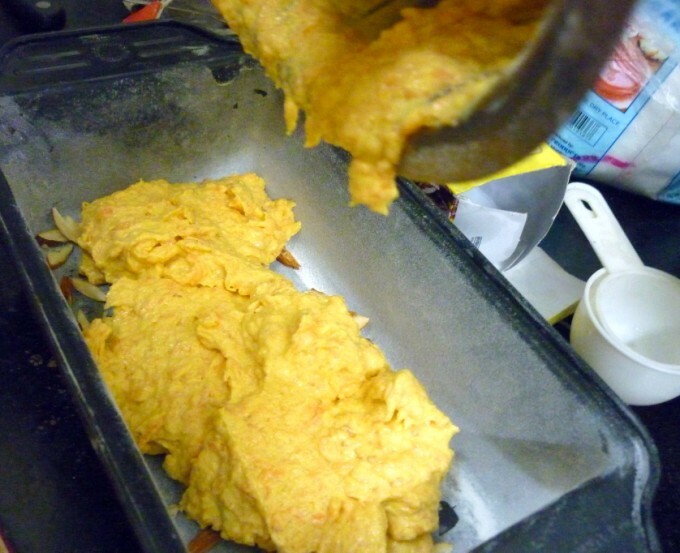 Then dust with 2 tbsp flour and mix everything together. 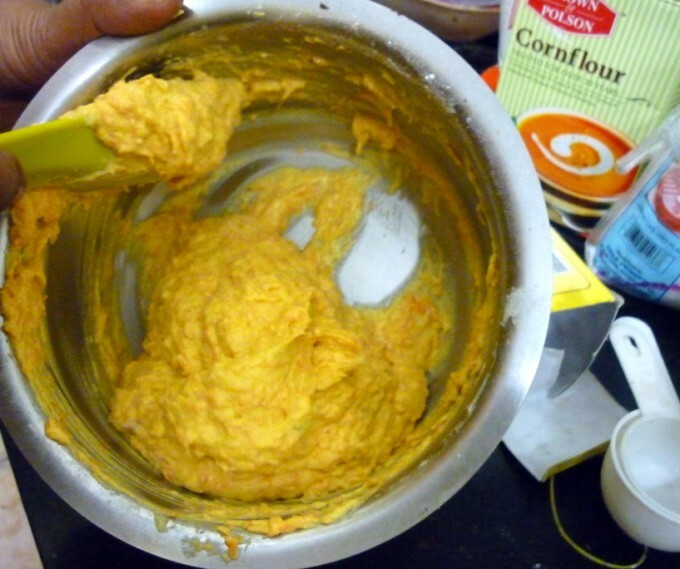 In another bowl, sieve the flour along with baking powder, baking soda and corn flour twice. Keep it aside. 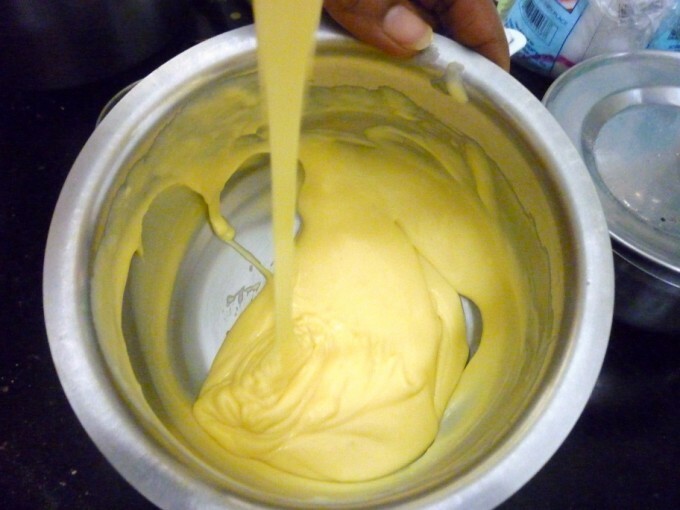 In a mixing bowl, measure out a cup of soft butter and add 1/2 tin condensed milk and icing sugar. Cream everything together. 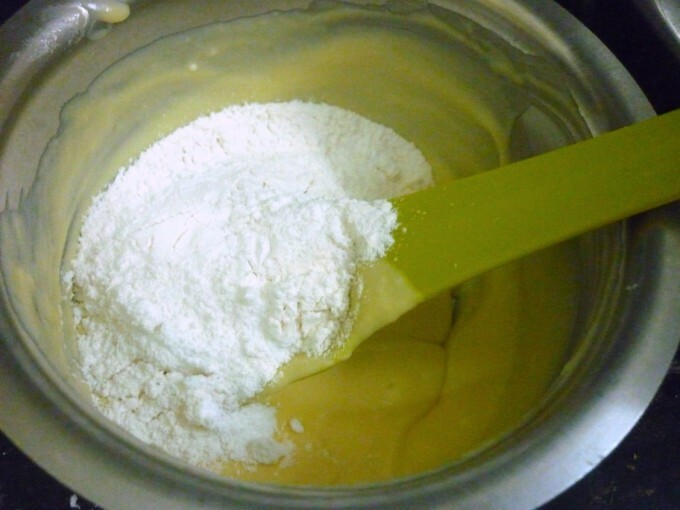 Once the butter is creamed well, add the flour mix and combine everything well. 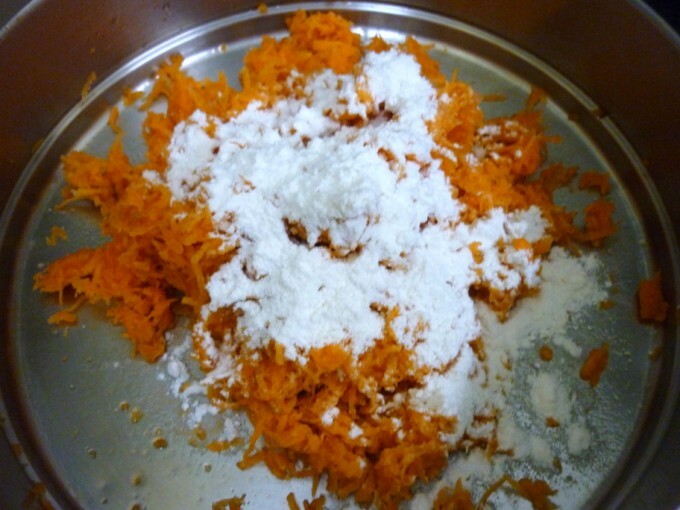 Now add the grated carrots and mix everything, making sure you don’t beat it too much. 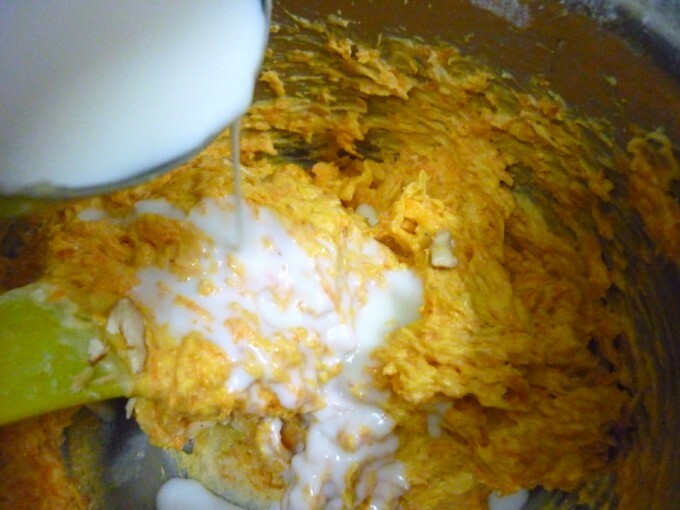 Add 1/2 cup milk and blend to a semi pouring consistency. 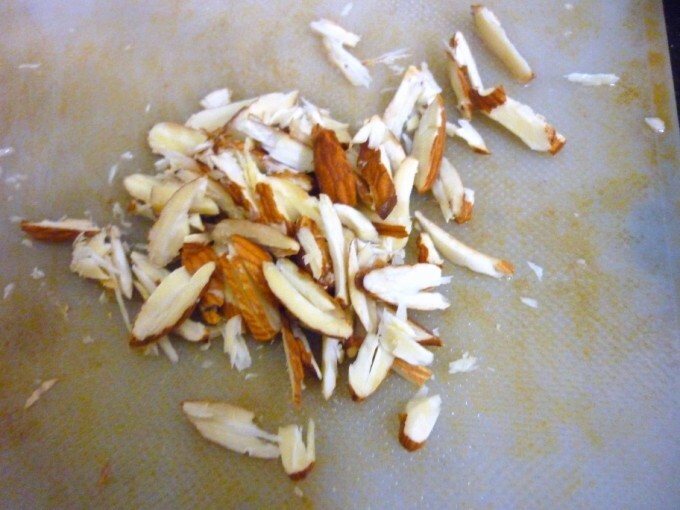 Dust a greased baking tray and sprinkle almond slivers. 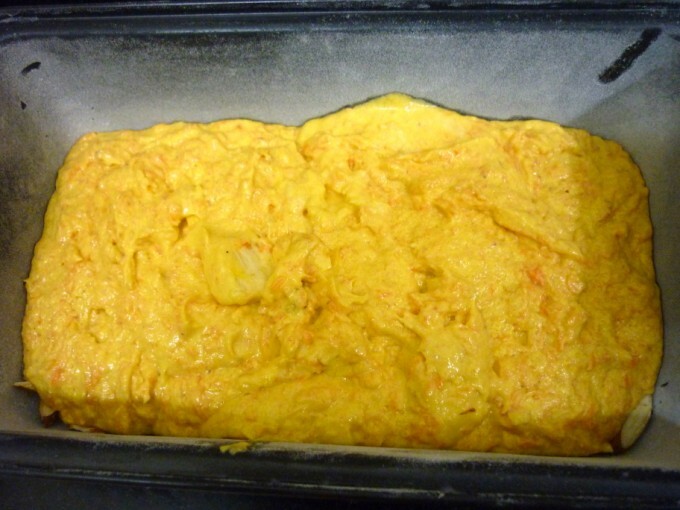 Pre heat the oven at 170 C.
Pour the batter into the prepped tray, tap on the counter to make sure the batter spreads evenly. This goes for my Snack Mela, which is on till the end of the month. What a lovely dish! Thanks for sharing! 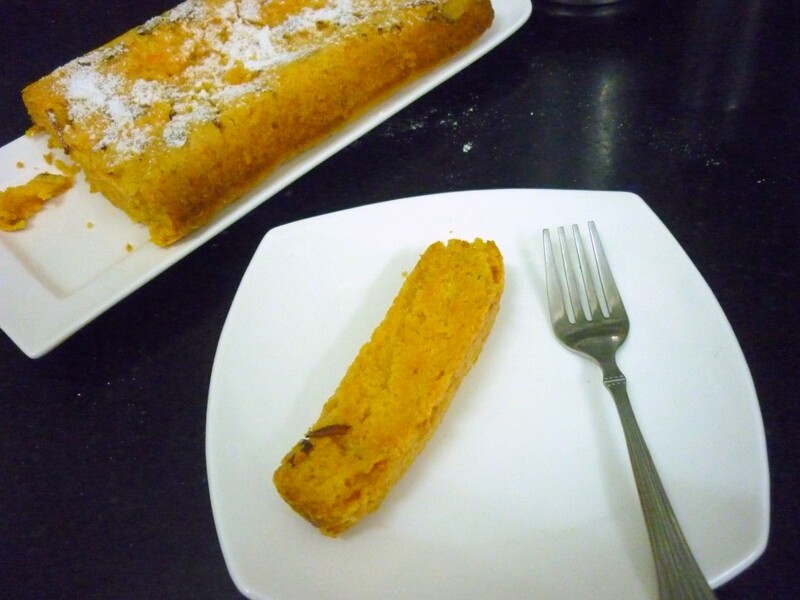 Eggless carrot cake looks fabulous,definitely a wonderful bake.